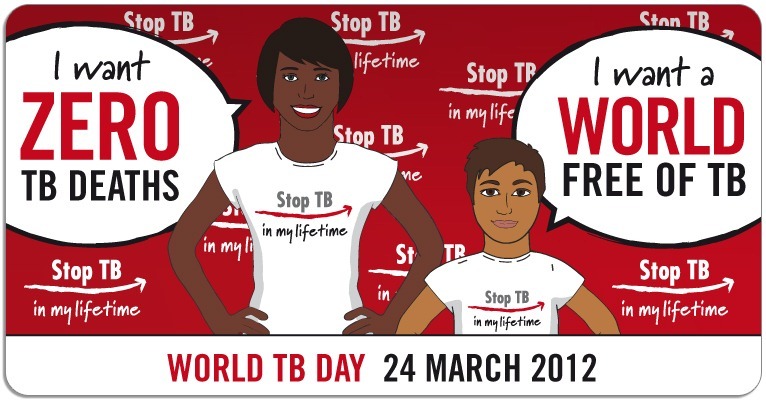 Today is the World Tuberculosis Day. It commemorates the day in 1882 when Robert Koch made the stunning announcement that he had been able to identify the causative agent for tuberculosis – the Tubercle bacilli. Tuberculosis is a disease that has dogged human beings from the earliest times. It has seen the rise and fall of empires, it has caused the rise and fall of empires, it had nearly been eradicated from the developed world thanks to better standards of living, only to find an ally in HIV and make its way back. In 1882, when Koch discovered the agent, almost one in seven people affected were dying. Today the number has gone down but the burden has gone up. Almost exclusively limited to the developing nations in the 80s and 90s now thanks to HIV-TB co-infection, this has truly evolved into a global disease. Add to that the issue of emergence of multiple drug resistant strains and extensive drug resistant strains. A few months ago, the total drug resistant strain was located and it spread a little bit of panic amongst the medical professionals. I want TB to be gone in my lifetime. I guess it seems like an uphill task, but the success of the Indian Directly Observer Short-course Therapy (DOTS) regimen instituted under the Revised National Tuberculosis Control Program (RNTCP) is inspiring. Public health has improved over the last few years and though the burden remains high, with diagnosis and cure rates well above the recommended targets, the RNTCP remains a success story for all public health professionals to emulate. However, I must voice my concerns about the rising costs and low efficacy in treatment of XDR and MDR cases, especially the former. Given the low cure rates and the abysmal recurrence rates, and the sky high costs, the need to devise newer drug regimes and discover newer chemotherapeutic agents active against these resistant strains is of prime importance. There is also the ethical dilemma about dealing with the total drug resistant strain bacteria. It goes without saying that there are no effective treatment for this strain today and hence, the dilemma. If they are treated with second or third line drugs, that is more for the purpose of satisfying our urge to do something rather than cure the patient. Also, the issue of leaving a possibly infectious source untreated is unacceptable. Given the toxicities associated with the second and third line drugs and the elevating costs and low chances of success, the dilemma is what to do. The issue of leaving the patients quarantined for an unlimited time period also seems unreasonable. There are ethical and financial considerations that are tied into this disease. In India, in large segments of rural people, this is still viewed as a curse. Just the other day I read in a leading vernacular newspaper the tragic news of a mother with MDR TB living with her 5 day old child in a ward full of other MDR TB patients because her husband and in-laws would not take their grandchild in for fear of contracting the curse. The health officials were flummoxed as to the next step. The neonate is the one losing out in all this! And although the BCG vaccine is given universally, its role in preventing pulmonary TB, the commonest variant, is minimal. It is supposed to give protection against hematogenous spread of the disease but has essentially no effect on the commonest variant. If the war against TB has to be escalated, the need of the hour is to design an effective vaccine. Chemotherapy is but a temporary measure, as the bugs will learn to gain resistance, especially in the developing nations where the number of defaulters are higher. Tags: Days in Medicine, Health, Health Economics, Health Policy, Medical Ethics, postaday, Public Health, TB, World TB Day. Bookmark the permalink.